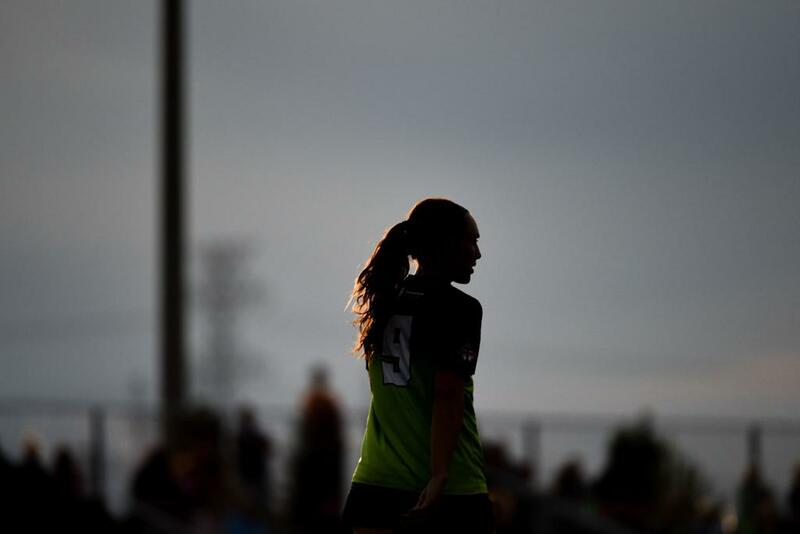 The all-time League1 Ontario top scorer - in either men's or women's divisions - FC London's former striker extraordinaire, Jade Kovacevic, smashed every ceiling available to her in Canadian women's soccer. No surprise then that recently she's been scooped up by Roma CF in Serie B, signing pro papers with the close affiliate of Serie A top-four side AS Roma, where she's already running up the stats. After returning to Canada in 2014 following NCAA DI play for University of Louisiana, Kovacevic went to London's Fanshawe College, tore up national scoring records with 79 goals in three years, received three All-Canadian nods, and was aptly selected as the Canadian College Athletic Association (CCAA) Player of the Year in 2018. She wrecked similar havoc on League1 teams, leading London to two successive championships, securing three golden boots and as many League1 MVP awards on the way. To put her scoring output into further context, the all-time top scorer in the American women's full-professional league, NWSL, is Samantha Kerr with 55 goals in 94 appearances. The highest scoring Canadian is Christine Sinclair, with 40 goals in 109 NWSL appearances. Kovacevic has 93 goals in 54 League1 appearances. Even with the necessary adjustments for difference in tier of play, it's clear that the London forward should be playing at a much higher level. She's one of the highest scoring players on the continent! Now, with two goals and several assists in her column for the Giallorossi after just over a month of play, any lingering questions that may have existed about Kovacevic's ability to step up at pro level have certainly been settled as well. "This was a step that Jade really wanted to make," said her former FC London coach, Mike Marcoccia. "A few years back, Fanshawe women were playing against St. Clair College and - this is really random - we met [former CWNT assistant coach] Betty Bavagnoli, who is now the head coach of AS Roma. She was visiting friends in Windsor and, along with another gentleman who is now Jade's agent, Lorenzo Di Salvo, watched Jade play and afterwards spoke to her about playing professionally in Italy." "Jade had looked at some offers in other countries but from then on was set on playing in Italy," he added. "I called Lorenzo this past year and asked him if he would be interested in helping Jade pursue the opportunity. He contacted Betty at AS Roma and it all happened very fast from there. In three months from the day I spoke to Lorenzo, Jade was on a plane." Hopefully, CWNT scouts have taken note of her new contact details in Italy; with a fresh Italian passport in hand, the 24 year-old prolific striker is now eligible to represent two countries. And with a succession plan for the imminent retirement of talisman Canadian striker Christine Sinclair not immediately apparent, might it be the perfect time to give a homegrown talent like Kovacevic a well-deserved moment on the international stage? She would only love it. "Yes, I do hope to get a chance to put on the Canadian jersey again - I would be crazy not to!" said Kovacevic, reached in Italy. "Although the team is full of very talented individuals and has seen much success over the past while, I do believe I have something to offer them and if given the chance I would be so grateful. Definitely a big reason why I decided to come to Rome and start my professional career." Kovacevic's pedigree was evident even as a youth growing up in the Canadian national team program (e.g. appearances at U17, U20, U23), but for some reason she hasn't had a real sniff at a senior national call-up or camp. Further, she has since become, literally, a different player altogether. 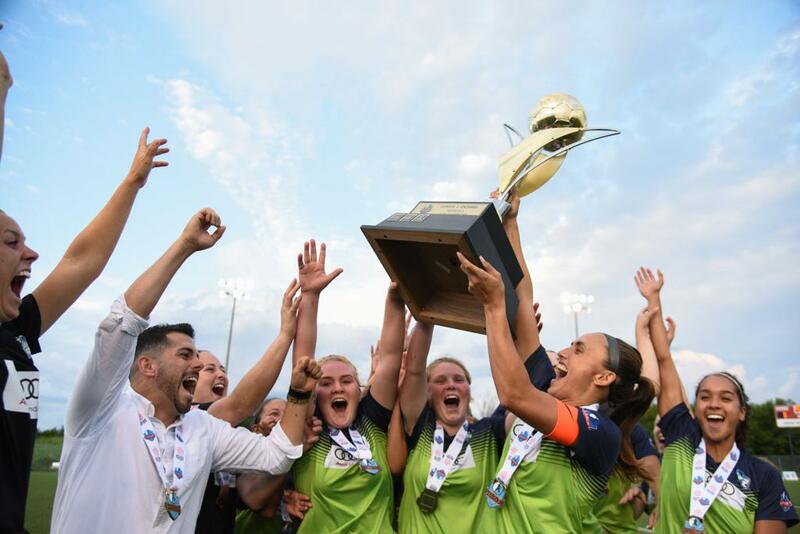 "The first day I met Jade, she walked up to me at the field and said she had lost the passion for competitive soccer and just wanted to play recreationally," recalled Marcoccia. "Looking back, the neatest thing was she asked me if any team was looking for a right back. She told me she had been a right back in college at Louisiana and a centre-back in the national team program growing up." "I had never seen a fullback or centre-back with this type of ability in front of goal," he recalled. "It wasn't just scoring either, she would be in on a 2v1 and locate the pass or cutback that I had never seen a female player find before." "I talked to her and told her she was a striker. She thought I was crazy. I was a striker my whole life, played at a good level in Italy and Canada, and honestly didn't know if I had the composure that she had in front of goal." 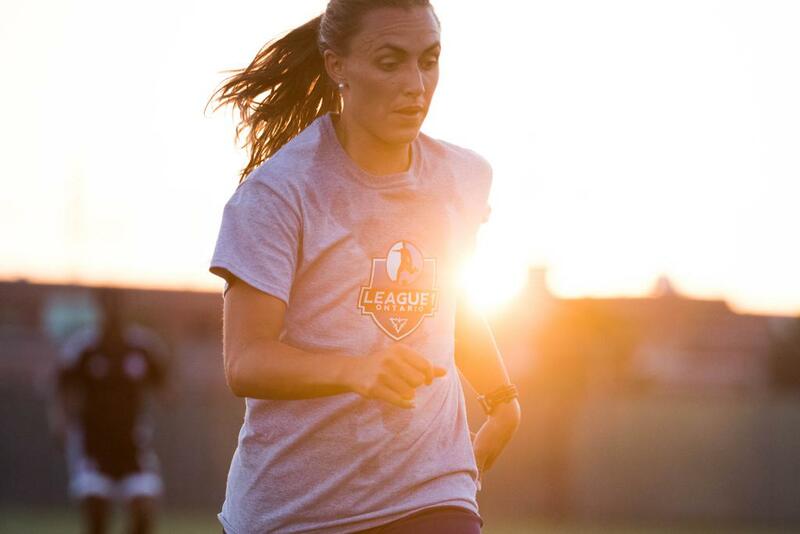 When London's first League1 match arrived, against one of the league's top-ranked sides in Vaughan Azzurri no less, Kovacevic quickly put her work into practice. After scoring her first goal on five minutes, she potted her second just before the interval. It proved to the be the match winner. Vaughan's keeper that day was no pushover either. Their GK was Stephanie Bukovec, who went on to be named the 2016 League1 Goalkeeper of the Year, and has since spent three years playing professionally in Sweden, Holland and Iceland. She has five Champions League appearances and is now part of the Croatian Women's National Team. "[Jade] hit the field and was already a good striker - she was an absolute natural," exclaimed Marcoccia. "Now we get a crazy crowd of 6-700 fans for our games at home and I think 300 of them are there for her!" Kovacevic's last appearance with a maple leaf on her crest was at a residency camp in Burnaby, B.C. in 2014. She spent the rest of that summer just watching the FIFA U20 World Cup play out at home on Canadian soil. However, over the following four years, she found a pro atmosphere in London, Ontario to develop both as a player and person. "I feel that my experiences within the FC London environment have prepared me to make this jump overseas for several reasons," said Kovacevic. "Mainly because the preparation and the game understanding that I have gained with Mike Marcoccia as my coach gave me an entirely new view to the game." "Without Mike and the girls of FC London, I wouldn’t be where I am today, and I’m so grateful for every single one of them. Adding to this, Ian Campbell, our owner gave us a feeling of a pro-like environment." FC London's systematic model of player development has had some massive peaks in recent years. Along with initially bringing in Mario Despotovic (current manager of Croatian super-club HNK Hajduk Split's reserve side) to set up the technical structure of the club, their philosophy of player development is based on being on the cutting edge of training methods. "We're not a pro club, we're a semi-pro club let's say, but we train the players four to five times a week," explained Marcoccia. "From a technical perspective, we look to continue educating as coaches and provide modern coaching techniques in the interest of continuously motivating the players." "We have had some really strong players in our women's group and that group was consistently motivating Jade to take the next step. Even when she maybe wanted to settle, there were some senior girls in our team that just said 'no way, kid. I'm not going to let that happen.'" Playing for Marcoccia at both FC London and Fanshawe College, Kovacevic was able to train and play in the same professional style atmosphere for at least nine months a year. The effect was immediately apparent, with goals, titles and individual awards arriving for the converted forward within her first year at the club. "I'll never forget the day that she walked up to me after practice and said she was in love with this game again," said Marcoccia. "She just said 'it's back - the feeling, everything. I love this game even more than I did when I was a kid.'" "From then on it was like a switch had gone off. She never stopped. From that day on, she was the best player in every single minute of every single practice. There were no off-days, it was just insane. That was three years ago." 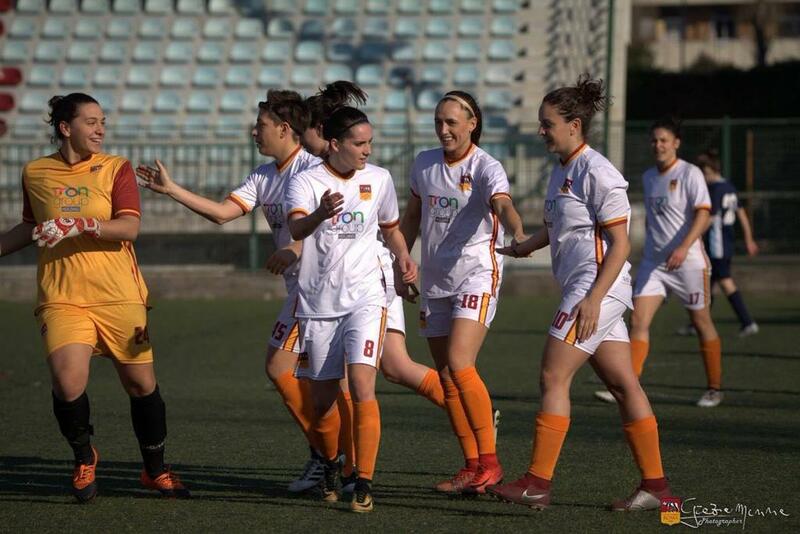 As she gets settled into Italian life, Kovacevic describes a warm welcome at the Rome-based club. Learning the language, bonding with some of the best up-and-coming Italian talent - the life in one of the world's most wondrous cities has already proven intoxicating. "I’m happy to be here and feel lucky to be living in the Italian lifestyle, as it’s quite beautiful!" she said. "They have an academy school with young girls and boys all training under the same philosophy, majority of the young girls coming out to watch the senior team play, all under the same facility. It is so wonderful to see the sea of yellow and red all around the club every night. [It] really is a great environment!" With any luck, Rome's sea of yellow and red will help carry this rare talent back to the red and white of Canada. "I know for a fact that if she got a call to put on that jersey, it would be the greatest day of her life and she will die in that jersey," said Marcoccia. "Whoever is the coach of the national team at that time is going to get a soldier. Not a player, literally a soldier. That's the thing, I haven't been coaching a player for the last few years - she has been like a soldier." "The message from the national team right now is that team spirit is ahead of everything else and the country needs to get behind this message," he concluded. "I agree one hundred per cent and I just gave a million reasons why this kid should be involved in a project like that!"